The Award Winning Howard Johnson Inn is just minutes away from Niagara Falls attractions, including free shuttle to area attractions, American falls and Niagara Seneca Casino. 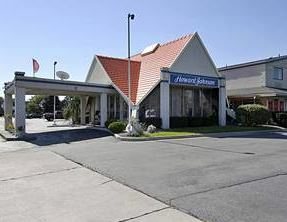 Sightseeing tours of both Niagara Falls Canada and Niagara Falls USA are available from this Howard Johnson Hotel. The Howard Johnson Inn by the Falls has 88 rooms on three floors. All rooms feature balconies, coffee makers, cable TV with movie channels, and dial-up Internet access. Enjoy beer, wine, and cocktails in a bar/lounge atmosphere. Crossroads also has a pool table available for all guests and a light menu to enjoy.